TiPb Asks: Are you concerned with iPhone data caps? AT&T transitioned to data caps and tiered plans just over a year ago and come this summer, Verizon will follow suit. Are you concerned? International iPhone users have had to deal with data caps and tiered plans for years, but in the US "unlimited data" was pretty much expected. It framed users' habits. Streaming internet radio, watching internet video, tethering on the down-low... You could do all of that without the slightest thought. Many users are already and will remain "grandfathered" into "unlimited data", but if you want official tethering, you'll have to switch, or like we're seen with AT&T, be forcibly switched, to the new, capped and tiered plans. And then you have to start planning for limited data. Netflix, in response to broadband caps, has started offering smaller sized streams to users worried about their data consumption. Starting today, watching movies & TV shows in Canada will use 2/3 less data on average with minimal impact to video quality. For example, watching 30 hours of Netflix movies & TV shows will only use 9 GB of data, well below most Canadian ISP data caps. Previously, 30 hours from Netflix typically used 31 GB. Skyfire has long made a web browser that proxies and compresses data. Various audio apps will also let you download over Wi-Fi and store or cache podcasts, songs, audio books, etc. so you don't use data on the road. 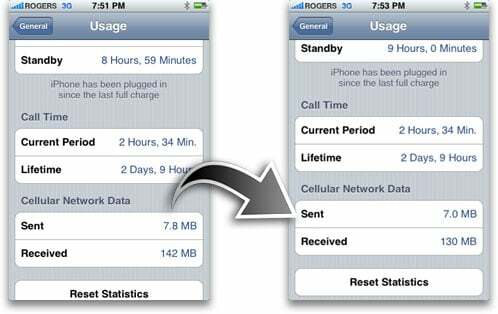 How dependent have you become on "unlimited" data? Have you routinely hit 5GB, 10GB, or even more a month? What do you think about the new caps and tiers? Will they cause you to rethink or reduce your usage, or just shake your fists and keep streaming in data defiance?